This is Lyra and she needs your help. She was featured on the Channel 5 news. 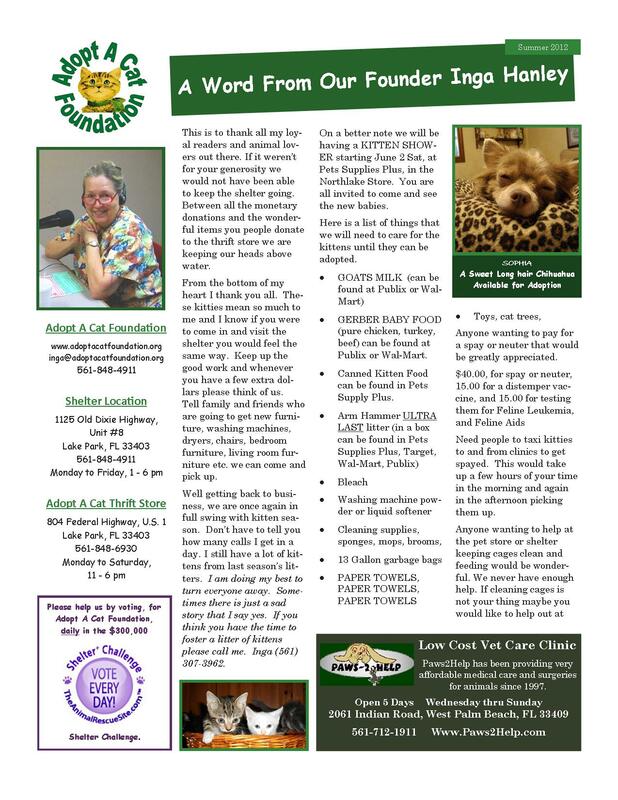 Adopt A Cat Foundation picked her up from Paws 2 Help after being run over by a lawnmower. 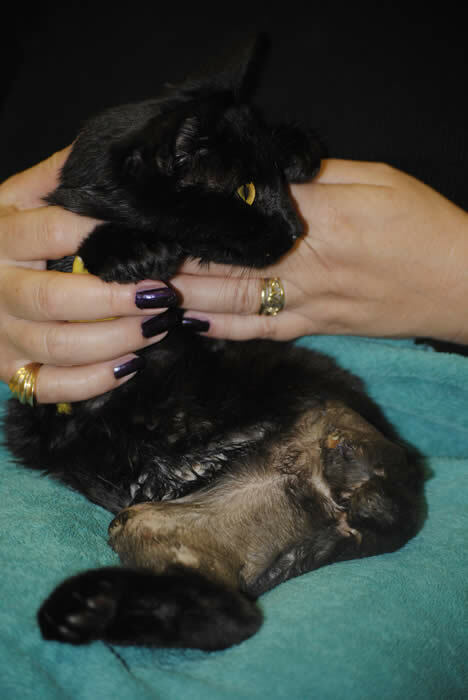 Her left rear leg has been amputated and her right rear leg is pinned. Due to severe anemia she had a blood transfusion on Feb 1st, 2011. Now she needs surgery to remove the pins so she will be able to walk again; and also refresh her incisions on both legs due to infection. The surgery will be around $1200. We need your help. Please help us by making a monetary donation. 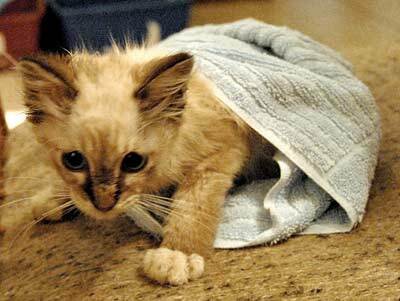 Ray was a homeless colony kitty with a facial wound so deep you could see inside his cheek. Now he has healed beautifully and is as sweet as could be. He would make somebody a wonderful companion. Please consider giving Ray a home with you. Call 561 848-4911 to arrange an introduction. Ray will be waiting for you.